Some congenital anomalies are caused by mutations in a single gene or damage to a specific chromosome. 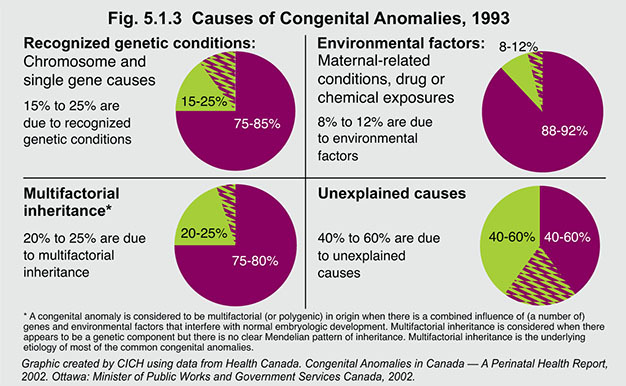 Other congenital anomalies are due to exposure to environmental hazards or drugs during pregnancy. Others result from a combination of genetic and environmental influences. However, the cause of most congenital anomalies is unknown. Most children with congenital anomalies are born to mothers with no family history and no known risk factors.